Mendocino Wine Tours offers a guided five-hour tour of the award-winning boutique wineries in the nearby Anderson Valley. 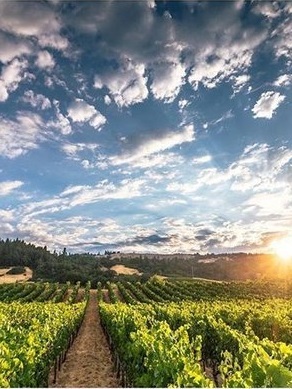 Included in this tour is a complimentary champagne greeting, transportation in a Lincoln towne car, tastings at 3 wineries and a break for lunch at an Anderson Valley restaurant (lunch not included). Please note that Mendocino Wine Tours has a 7-day cancellation policy. All cancellations are assessed a $40 per person cancellation fee. If you cancel within 7 days of your tour, the tour cost is non-refundable. For reservations booked within 7 days of your tour, you are required to cancel no less than 24 hours prior to your tour date to receive a refund (less a $40 per person cancellation fee). Mendocino Wine Tours* offers guided 5-hour tours in luxury vehicles of the Mendocino region's award-winning boutique wineries and a break for lunch (lunch is not included). Please note that Mendocino Wine Tours has a 7 day cancellation policy. All cancellations are assessed a $40 per person cancellation fee. If you cancel within 7 days of your tour, the tour cost is non-refundable. For reservations booked within 7 days of your tour, you are required to cancel 24 hours prior to your tour date to receive a refund (less their $40 per person cancellation fee). There are no refunds for cancellations made within 24 hours of a tour.